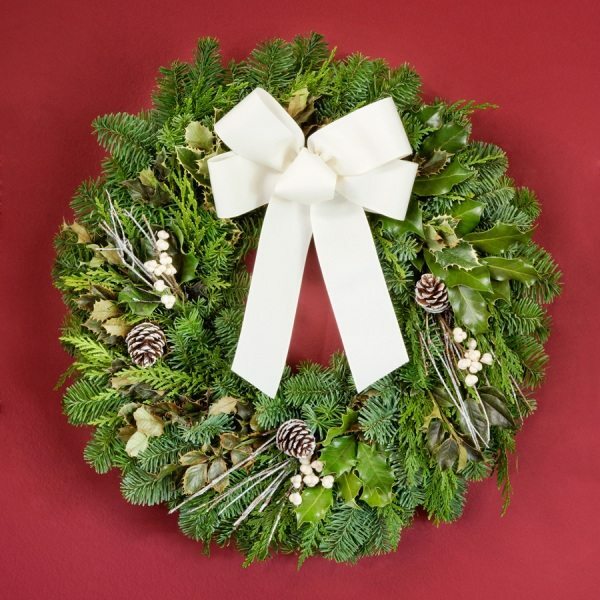 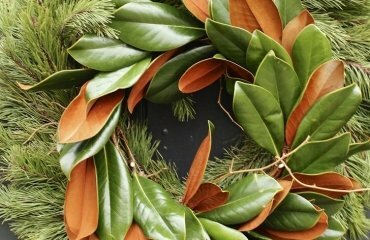 Wreaths are one of the most popular decoration item and can be used as holiday decoration for small spaces as well as in large rooms. 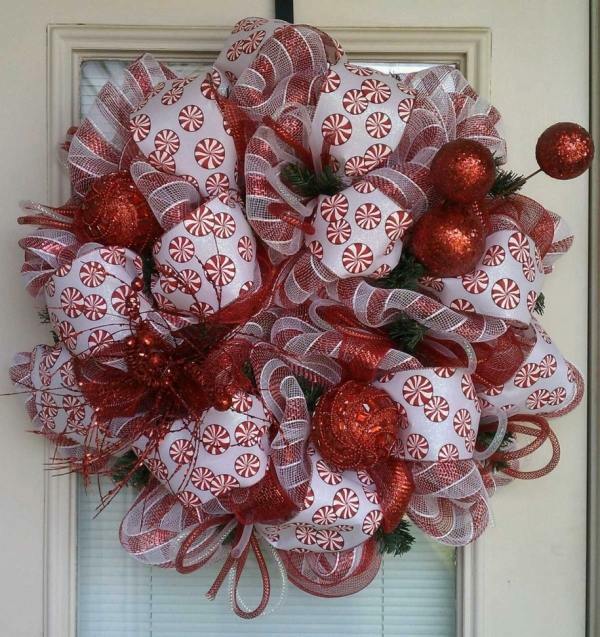 They come in various shapes and styles and no mater if they are hung inside or out they are the way to welcome the holidays, our visitors and accent our interior. 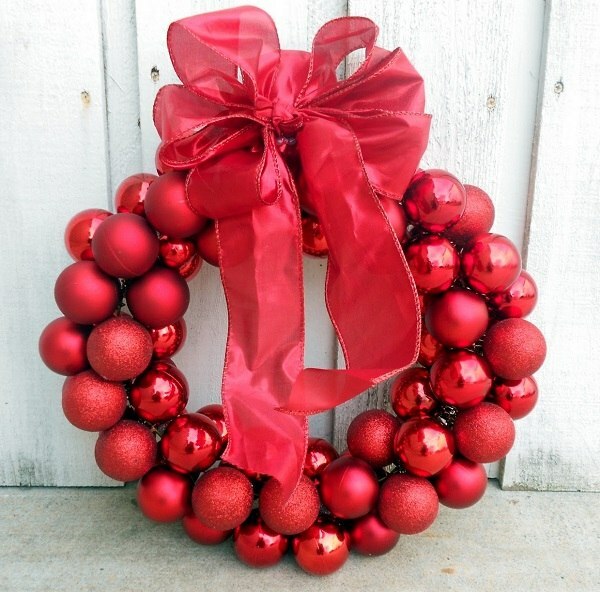 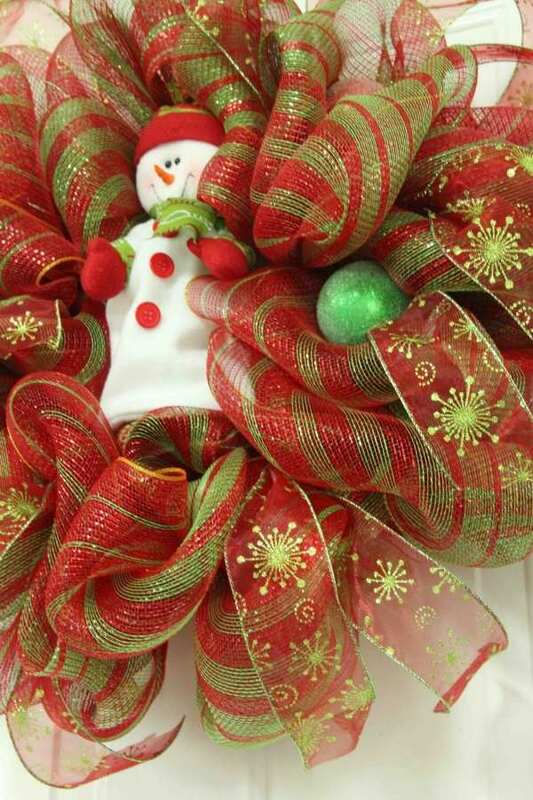 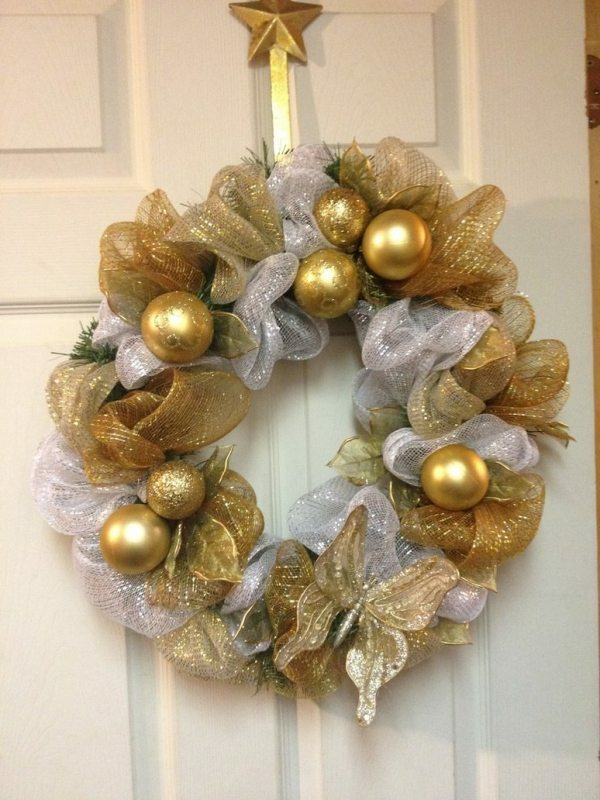 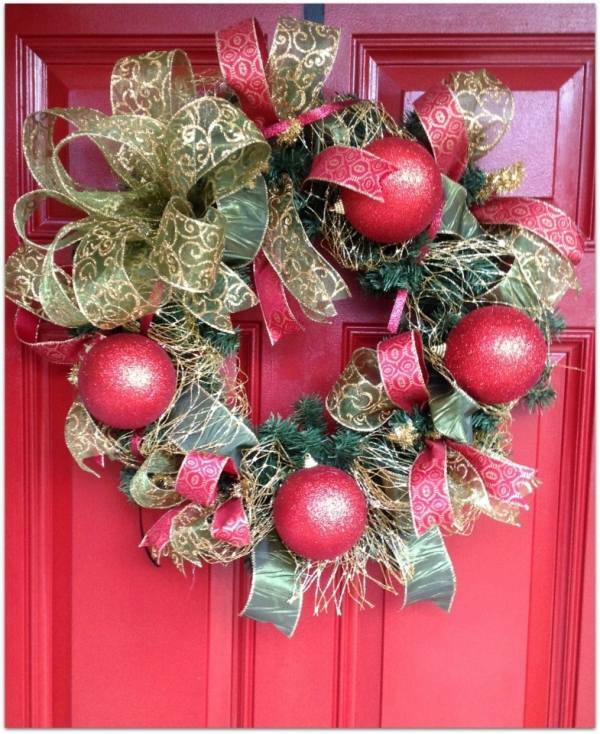 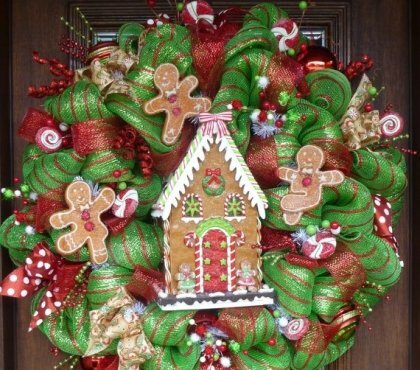 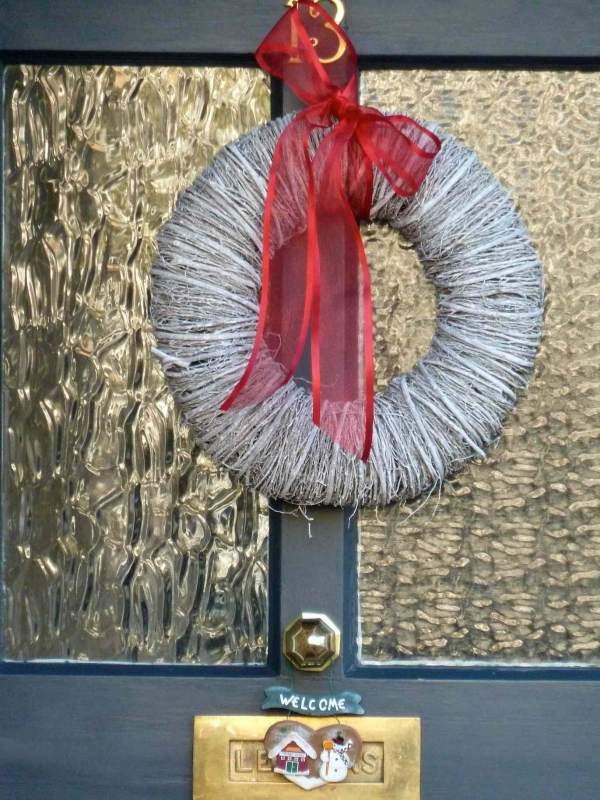 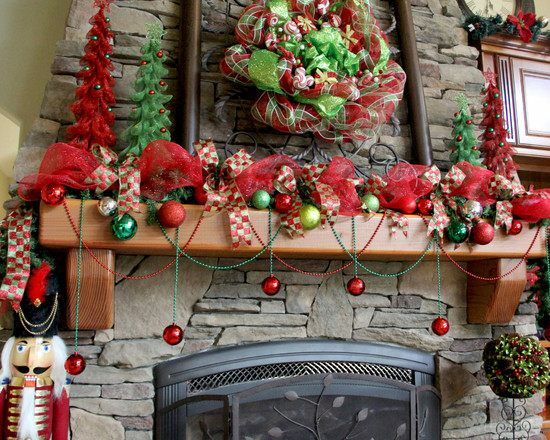 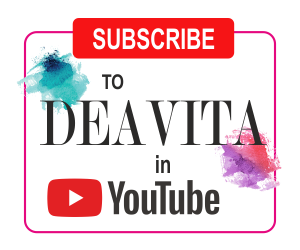 Ribbons and bows are commonly used and we shall show you Christmas wreaths decorating ideas and the ways to refresh your old wreath or create a design of your own. 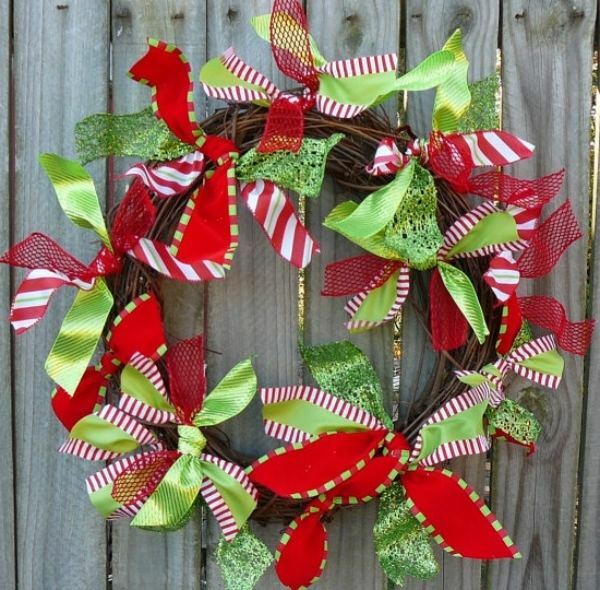 Festive bows are not difficult to make. 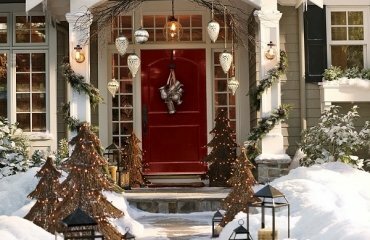 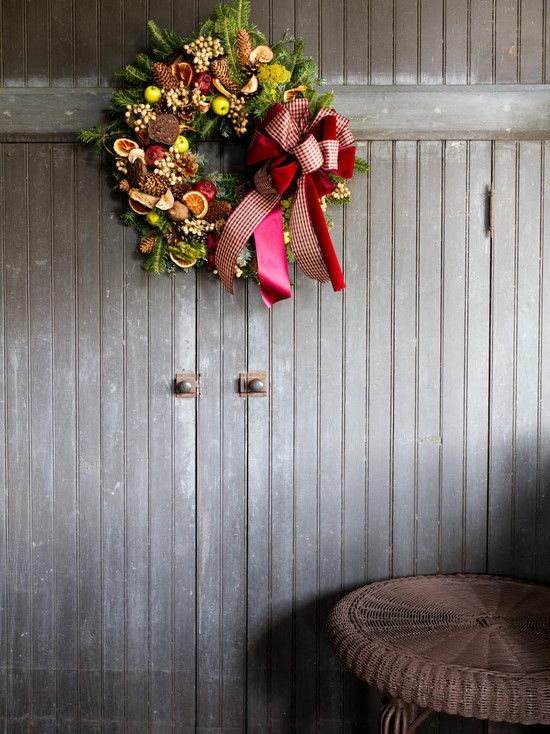 Either a large bow or a bunch of bows – our Christmas wreaths decorating ideas will give you some tips and visions of the ways to make your wreath more festive. 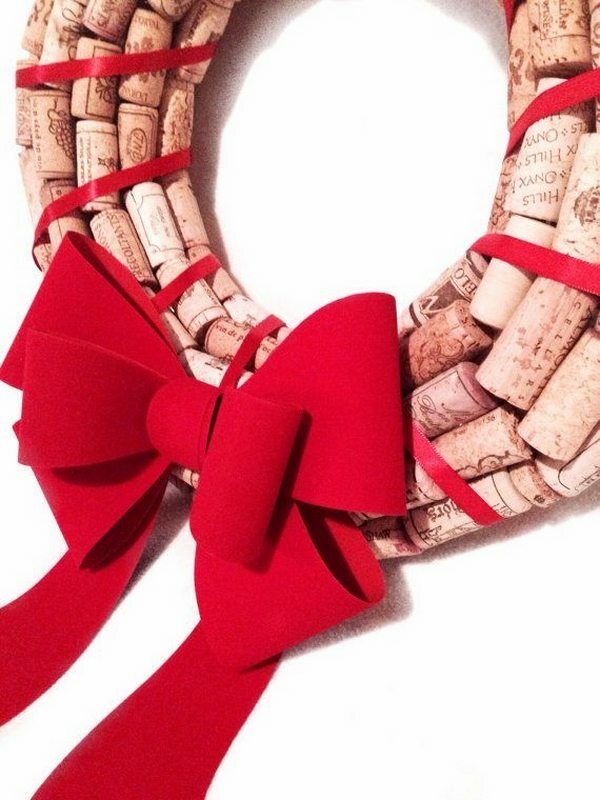 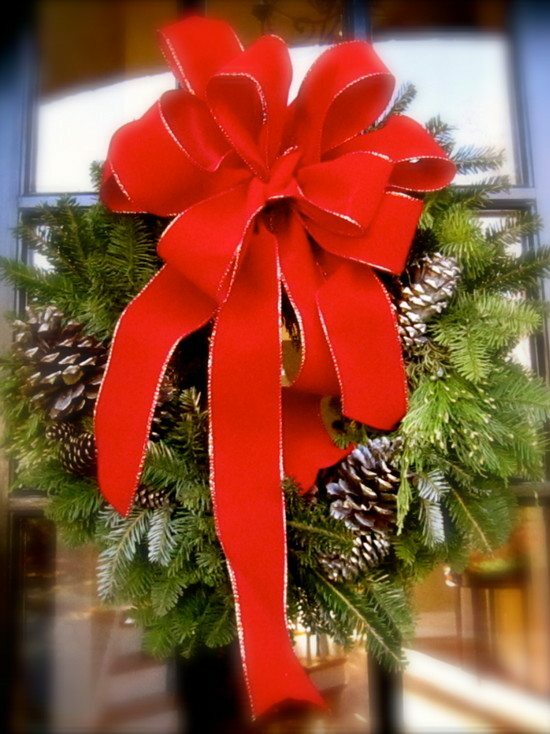 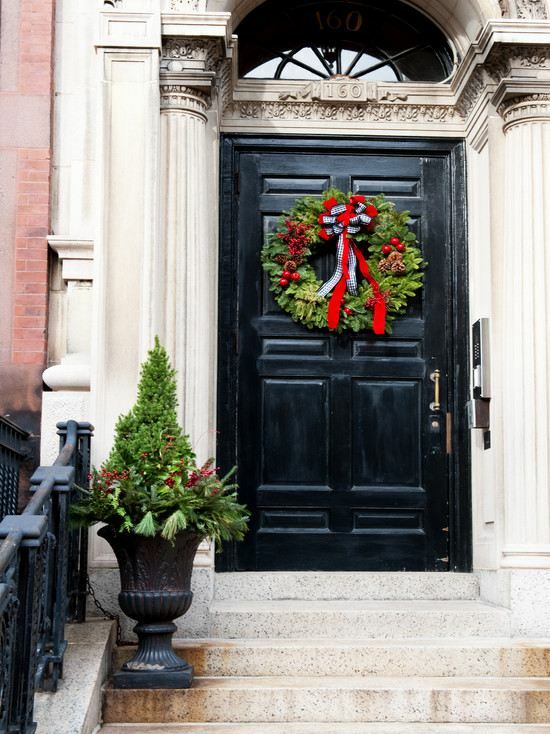 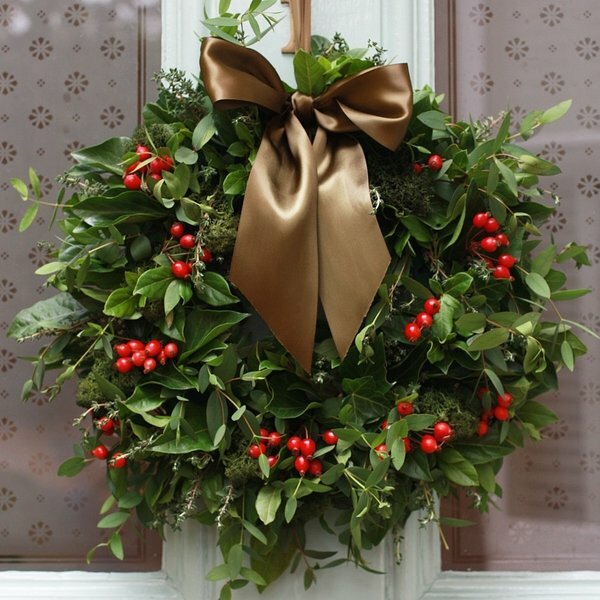 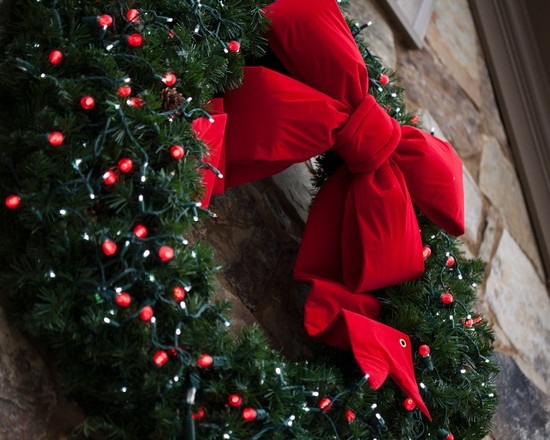 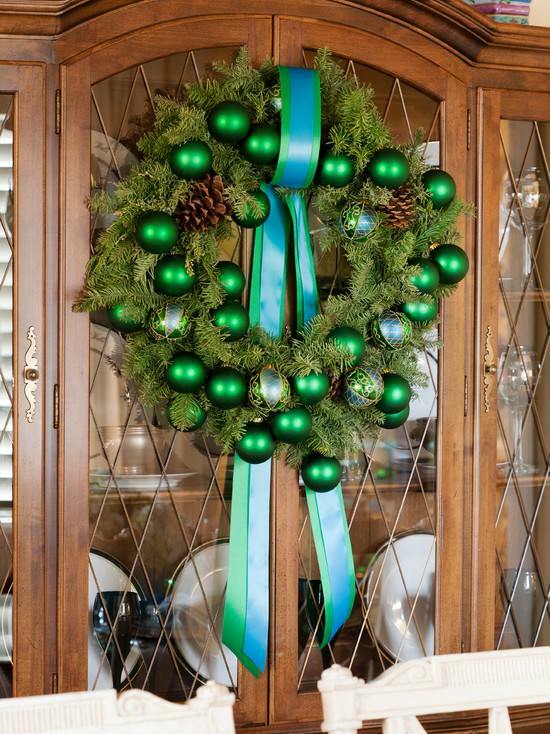 A beautifully crafted bow does make a difference when decorating for the holidays. 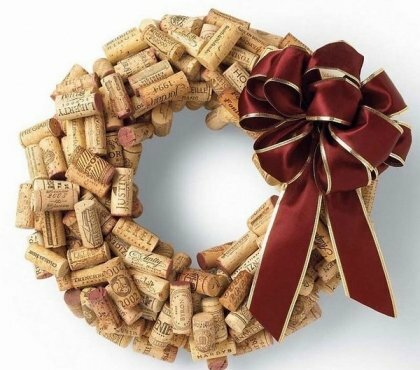 Especially for a festive wreath. 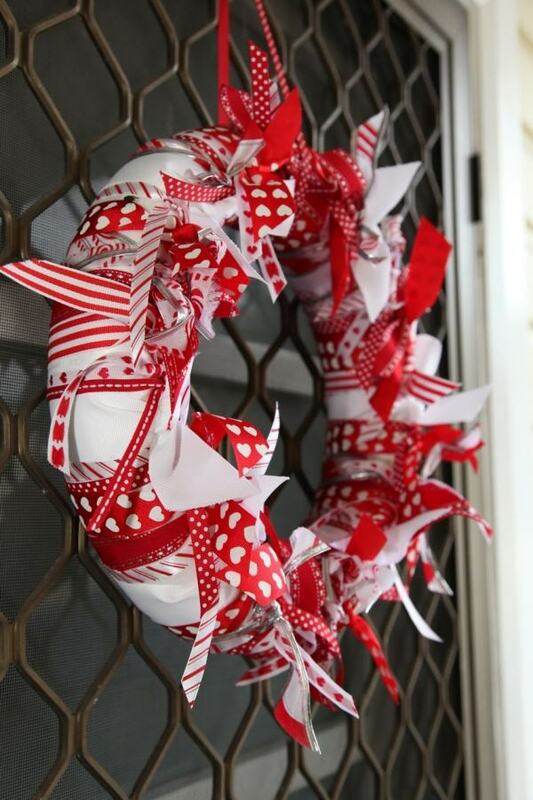 It gives the finishing touch and especially for traditionally styled decorations, the ribbon is a must. 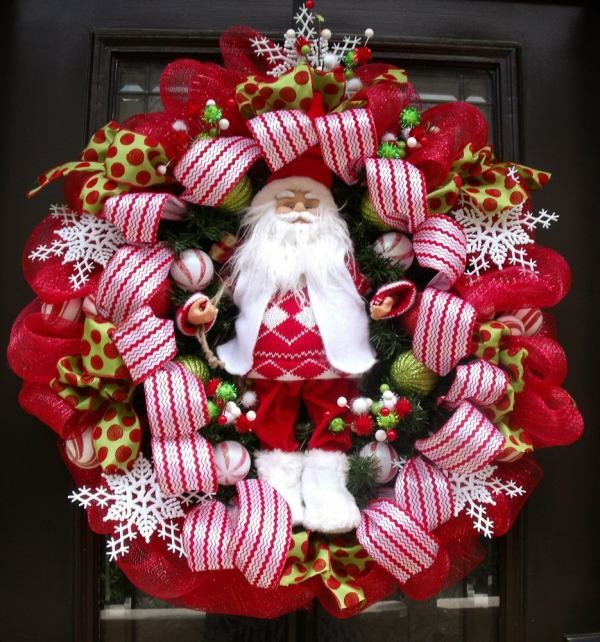 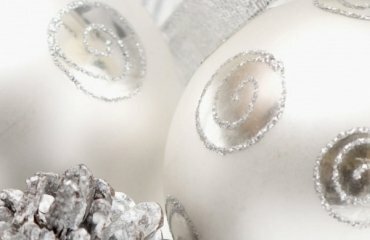 If you wanted to have a modern design Christmas wreath – you may use the ribbons in a non-traditional way and form them in a wreath, add one or more symbolic Christmas characters like Santa Clause or a snowman. 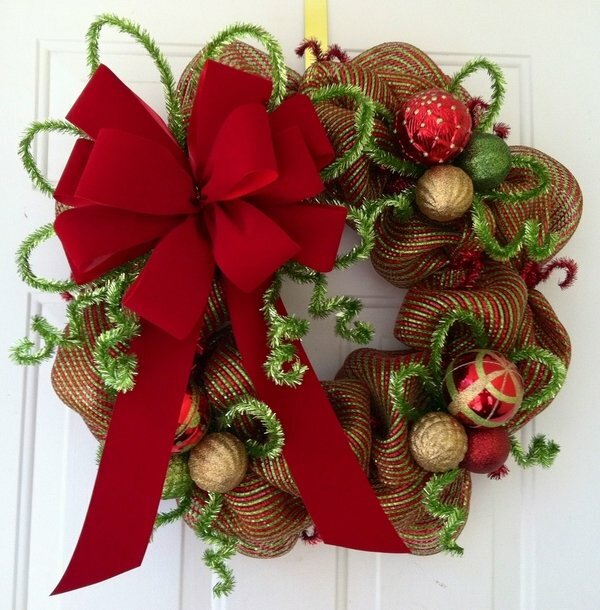 There are many styles of ribbons to use when making a bow. 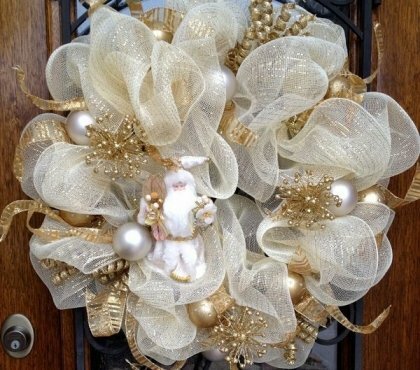 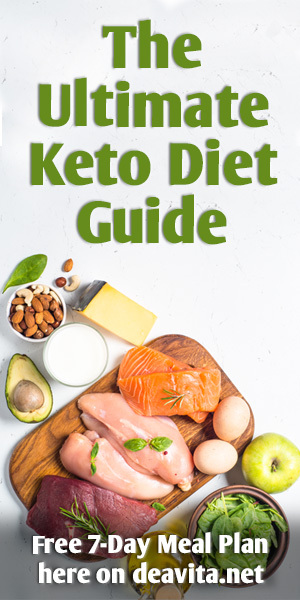 You need to make your mind what size, shape and style you’d want to have – a classic single or double bow, a crafter bow, a pew bow or something more simple. 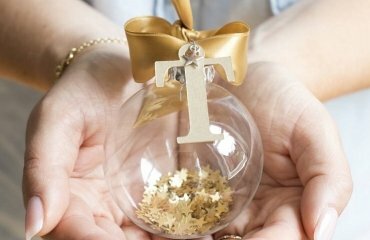 Of course ribbons are produced in a wide variety of fabrics and materials – grosgrain, satin, sheer, silk, twill, velvet and so much more. 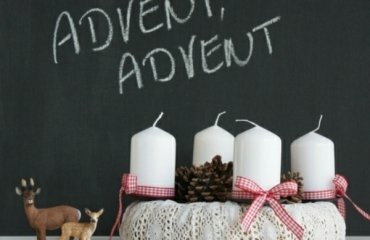 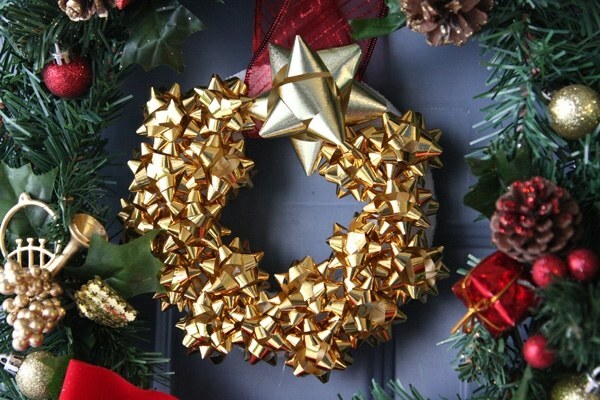 In case you have decided to craft your own wreath, and decorate it with a wonderful bow, take your scissors out, some glue and needles, have a look at our Christmas wreaths decorating ideas and hopefully you will find your bit of inspiration.